The Prime 24-Hour Energy Pack includes Strawberry Melon and Blackberry Lime Prime Drive®, and Prime PM™. 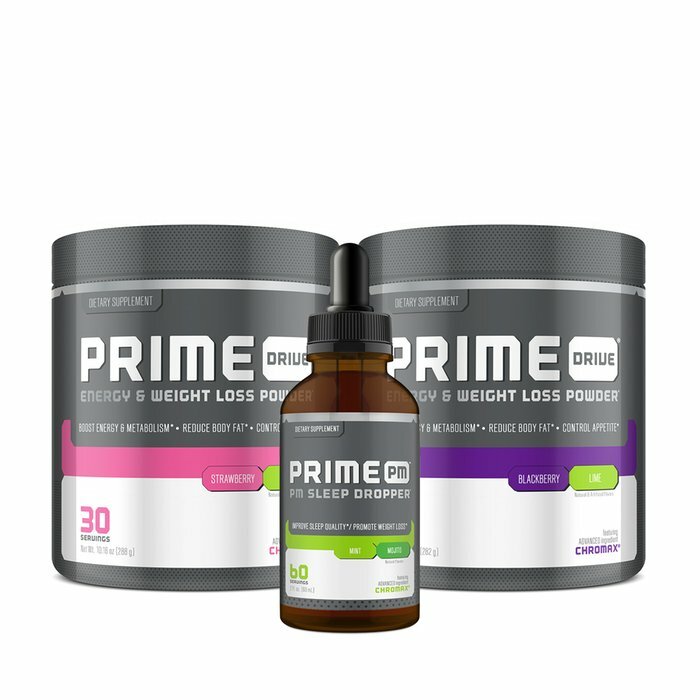 30 minutes prior to sleep, dispense 1 serving directly into the mouth and swallow. Do not exceed more than one serving daily. For weight loss, mix 1 scoop 2 times daily with 8 to 12 ounces of water 15-30 minutes before main meals. For energy, mix 1 scoop with 8 to 12 ounces of water as needed. Do not exceed 2 scoops daily. Thirty minutes prior to bedtime, dispense one serving directly into the mouth and swallow. 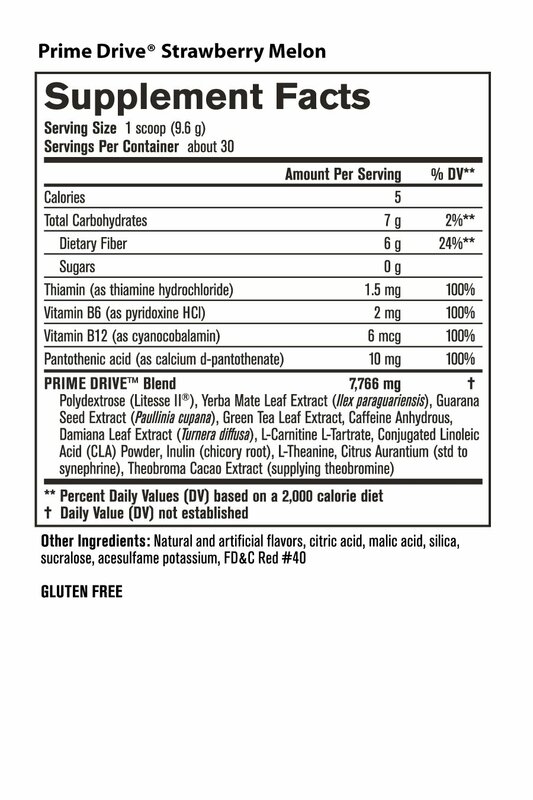 Do not exceed more than one serving within a 24 hour period. WARNING: Do not exceed recommended amount. Not intended for use by persons under the age of 18 or by those with a serious medical condition. Do not use if pregnant or nursing. Please consult your physician before using this product. May cause dehydration, nausea and/or dizziness with inadequate water intake. 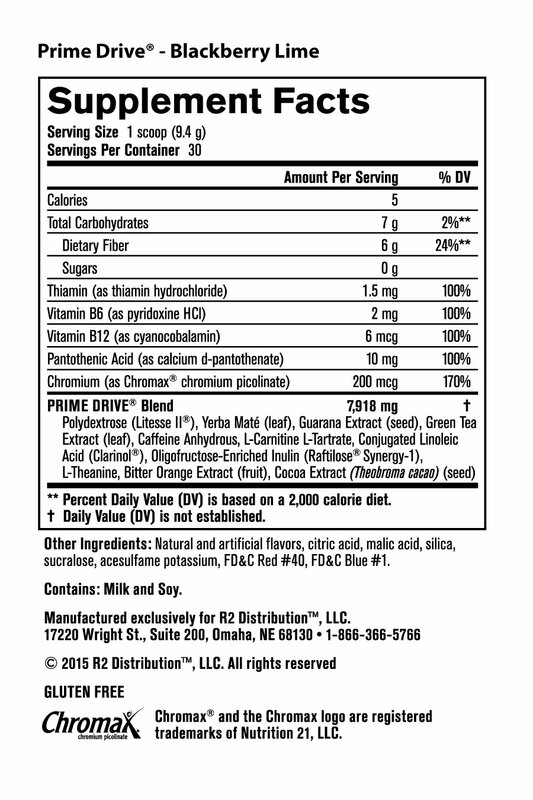 Prime Drive® contains approximately 177mg of caffeine. Stimulant sensitive individuals may experience rapid heartbeat and nervousness. 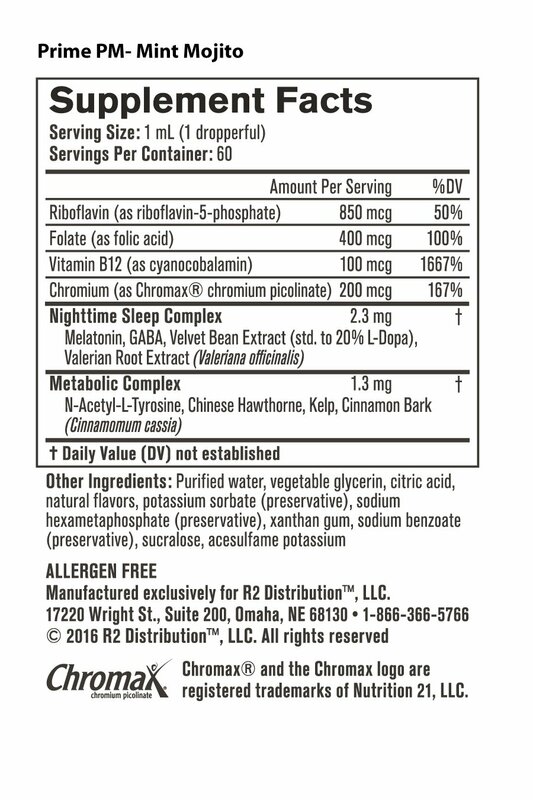 Could cause sleeplessness if taken within 4 hours of bedtime. Do not use if tamper resistant seal is broken. Take on the day and sleep like a rock with the Prime 24-Hour Energy Pack!